The past few weeks I have been feeling very discontent. I want to do so much but I hardly have the energy or strength to walk to the other room. Being forced to do nothing is frustrating, I’d rather it be my own choice. I would probably enjoy it more if I was the one saying “I’m not going to do anything today”, instead of my body. I do find spurts of energy here and there and have started a few projects lately, and finished about half! I’m trying not to buy more craft supplies until I use the ones I have. I don’t think I’ve stepped foot in a Joann’s in weeks, and even then we were there to buy frames, I don’t think i even looked at anything else. Well, that will probably change this week. I realized after finishing the top section of the chevron quilt that I did NOT have enough coordinating fabric for the back. I had fabric, yes, but not COORDINATING fabric! So that project is at a stand still!! 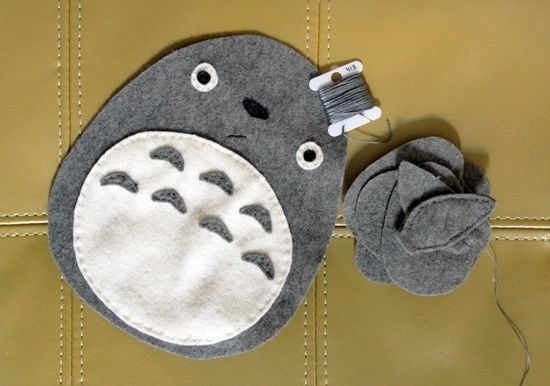 I also started a Totoro Doll for CT since she LOVES the movie… (I found the pattern on Pinterest) well, I messed up on cutting out the ears, paws and tail. I forgot a seam allowance. I also used the last of my grey felt, so now that project also has to be put aside. Frustrating. I DID finish a simple little tote bag and tank top using supplies I already had. I’m happy with the outcome of both, but feel super great about the tank top!! It’s the first piece of clothing I’ve made myself that didn’t have to be taken apart and redone. I got it right on the first try. I didn’t use a conventional pattern either, I just did a rough crayon rubbing of my favorite a-line tank top and tweaked it a bit. It fits perfectly, and now I want to make a dozen or more. Especially since I’m not fond of the fabric I used for this one, it’s not really me. Oh and I’m also, slowly, working on a shop update! Ive been working on some new pieces that I can not wait to share fully! You can see a few above. I’m trying out a few new ways of photographing them since I think it’s time for change. I always think its time for change! Any suggestions?